AND DEBUTS ART EXHIBIT, THE LAW OF SEEDS, TO COMMEMORATE. Activist artist Beth Grossman is calling attention to the genetically engineered seeds that are having a huge impact on food sources worldwide. 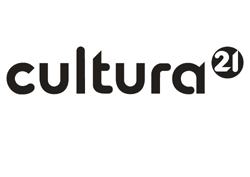 Brisbane, California has decided to act locally and think globally by adopting a BILL OF SEED RIGHTS Proclamation and to commemorate it with an art exhibit. Grossman is using this art project to call attention to the necessity of national and international “seed law” to protect plant bio-diversity and the rights of individuals to save seed, keeping them in the public domain. 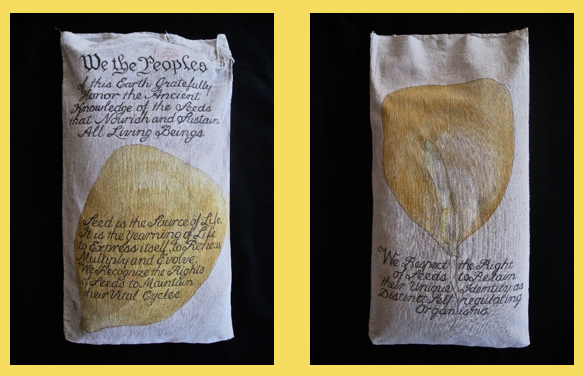 She has compiled a Bill of Rights for Seeds and is sharing it as a visual art exhibit that will debut at Brisbane City Hall between March 4th – April 30th, 2014. She enlisted Brisbane city government to become the first U.S. city to adopt her Bill of Rights for Seeds. This Proclamation was presented by Mayor Clarke Conway at a public reception on Wednesday, March 19th, 2014. Grossman was inspired by the constitutions of Bolivia and Ecuador, each of which includes Articles on the Rights of Nature. 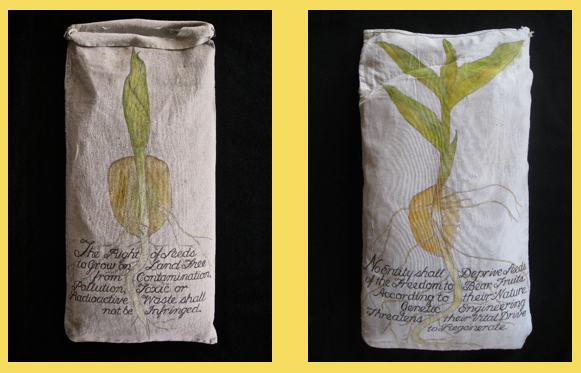 She compiled a Bill of Rights specifically for seeds and then scribed them with a quill pen on ten vintage seed bags that are also painted with images of the stages of germinating corn from seed to mature plant.